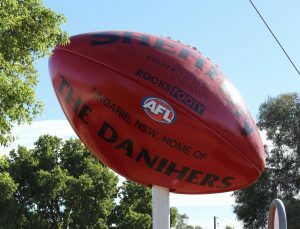 Last Saturday I went home to Ungarie in NSW to attend the unveiling of the town’s latest feature – a Big Footy. It was a magnificent day, sponsored by Triple M, we even had the deputy prime minister Michael McCormack attend (he is a local operating out of Wagga). The footy itself is massive at 8 metres x 3 metres and weighs 800 kilograms!  We really hope it gives the town a bit of a boost after a pretty tough harvest last year. 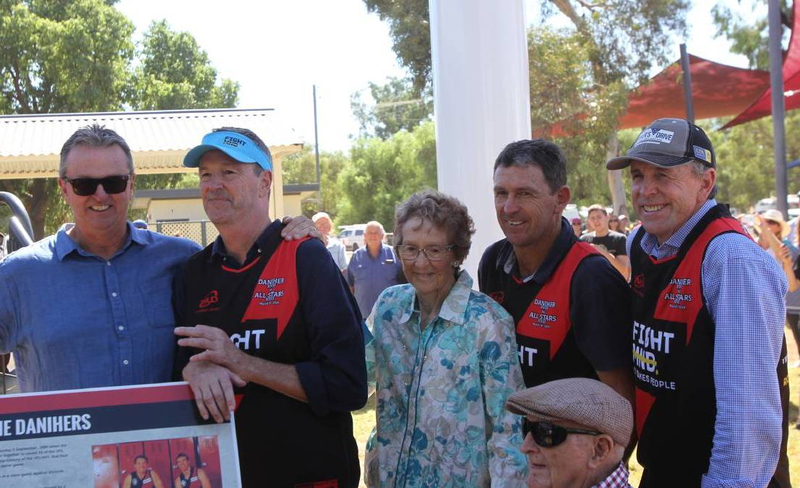 On the day McCormack coached the Ungarie All Stars against the Daniher Legends and it was a fun game of footy that was played in great spirits. The day helped to raise more than $23,000 for Fight MND and we hope The Big Footy will continue to give Neale and his foundation a big boost. All in all the event was a really special highlight for us all!